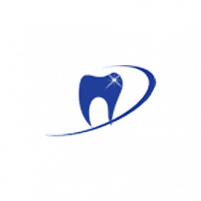 Men and women looking for general dentistry services can turn to Advanced & Comfort Dentistry in Whitehall, Pennsylvania, for all their dental care needs. The team of experienced dentists and clinicians provide comprehensive, customized care in a relaxing setting. From basic cleanings to gum disease treatment, patients can count on a team of certified and experienced specialists to maintain a healthy mouth. Call the practice to learn more about general dentistry services available, or schedule an appointment online. General dentistry services help you maintain healthy teeth and gums so it’s important to choose an experienced and knowledgeable service provider. The doctors and clinicians at Advanced & Comfort Dentistry have extensive experience working with patients of all ages and use the latest technologies, including digital X-rays and CT scans, to provide a high level of service. All three doctors at the practice provide general dentistry services and will prepare a customized treatment plan based on your goals. When will I need general dentistry services? Maintaining a beautiful, winning smile for life requires frequent dental checkups. Instead of waiting until you have severe tooth pain or discomfort, you should visit Advanced & Comfort Dentistry regularly for teeth cleanings and get answers to any questions you have about your oral health. Early detection and treatment is key to preventing serious oral health issues that can cause permanent tooth loss, jawbone loss, and gum damage. During a checkup, your doctor detects any cavities during an exam and performs fillings or a root canal if necessary. Regular cleanings get rid of plaque and tartar buildup which helps ward off gum disease. If you are at risk for gum disease or have undergone treatment for gum disease, you might need to come in for a deep cleaning every three months instead of the standard once every six months. Yes! The Smile Team can brighten and whiten your smile by several shades using the Opalescence and GloScience professional teeth whitening systems. Both of these systems are proven to whiten teeth safely and produce lasting results. The doctors can make a recommendation based on your whitening goals and history of teeth whitening. Getting professional teeth whitening treatments means you don’t have to worry about excessive discomfort or gum irritation. Many over-the-counter whitening products are not as concentrated or powerful as those available through a dentist and can damage the tooth enamel. Both Opalescence and GloScience teeth whitening products are safe and effective. If you’re looking for a team of professionals to take care of all your dental needs in one convenient location, turn to the doctors at Advanced & Comfort Dentistry. Call our practice or book an appointment online today.